DEATH BY PICKAX TO THE SKULL FOR YOU HUMAN! 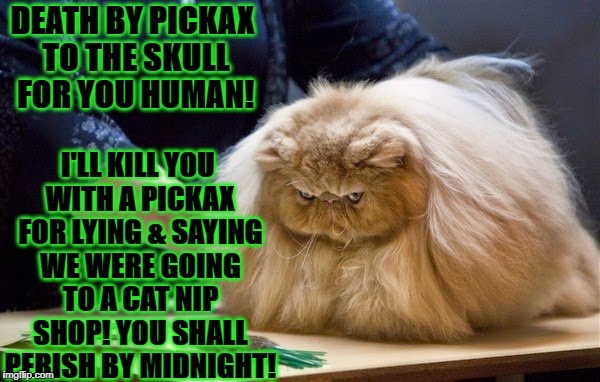 I'LL KILL YOU WITH A PICKAX FOR LYING & SAYING WE WERE GOING TO A CAT NIP SHOP! YOU SHALL PERISH BY MIDNIGHT!